Cheesy Quinoa Casserole is made with only 5 main ingredients and takes 15 minutes to cook. It will leave you so satisfied with the combination of delicious healthy quinoa, warm melted cheese and roasted tomatoes! Ever since discovering quinoa it’s been a staple in my fridge. Always ready to be eaten plain (which is still delicious) or in a dish. For the past two weeks I have been craving cheese and tomatoes, and so my friends, this Cheesy Quinoa Casserole was born. It would be a gross understatement to say this was good, because it was delicious. I’m talking “Babe, that was SO GOOD!” by Mr. Jessiker Bakes and my wanting seconds, which actually never happens. I think it was the simplicity of the ingredients. Nothing fancy or complicated, allowing all their different flavours to shine through together. This casserole is as easy as making a creamy cheese base, then adding everything else in. Bake for 15 minutes, broil for 1. This results in a delicious, creamy, cheesy quinoa casserole topped with soft flavourful roasted tomatoes and cheesy goodness. It’s not even that much cheese so don’t be inclined to feel any type of bad. The tomato sauce was homemade (sharing next week!) which as we all know about homemade condiments, meant it was packed with pure flavour. If you’re wondering what quick meal to whip up one night, this is the one! It’s so satisfying, and you’ll be feeling healthy with this nutritious, delicious and easy to make meal. Happy Monday! 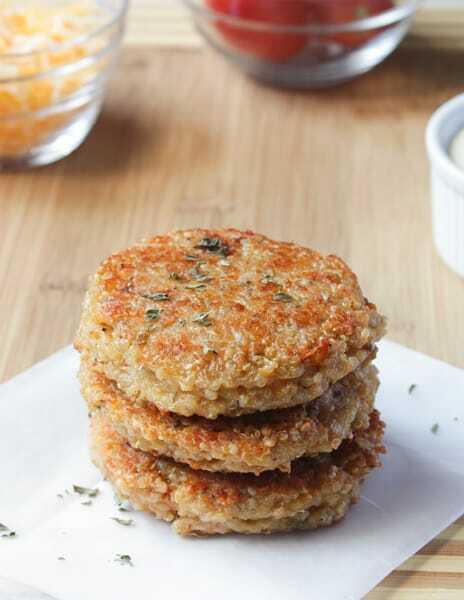 By the way, if you loved this Cheesy Quinoa Casserole, you’ll always love these Sun-dried Tomato and Mozzarella Quinoa Burgers! 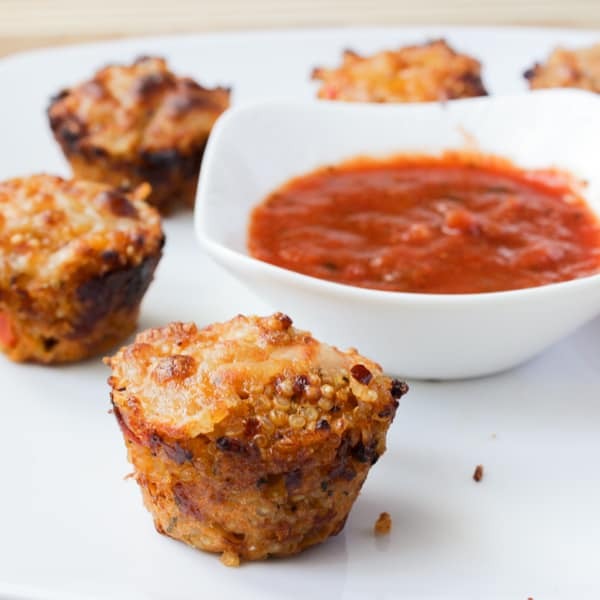 And these Quinoa Pizza Bites! 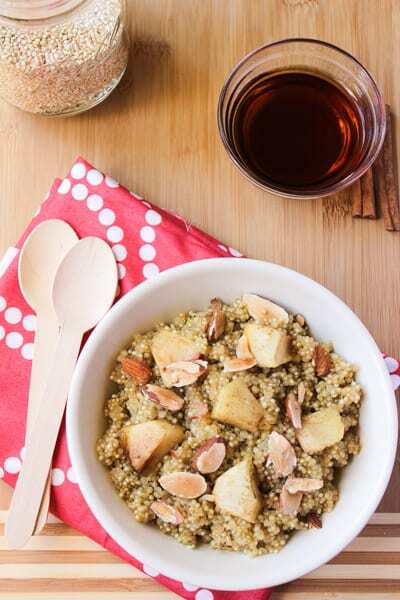 This Cinnamon Maple Apple Quinoa was a hit! If you try this Cheesy Quinoa Casserole please let me know in the comment section below, or tag me on instagram with the hashtag #jessicainthekitchen! For more exclusive recipes follow me on Instagram AND on Snapchat: jessinkitchen. Preheat the oven to 350 degrees. Grease an 8x8 baking dish, set aside. In a pan over medium high heat, heat the milk and 1/4 cup cheese, stirring until melted, about 1-2 minutes. Add the quinoa, tomato/pasta sauce, Italian seasoning and half the diced tomatoes. Stir together until combined and creamy. Add the quinoa mix to the baking dish and spread until even on the top. 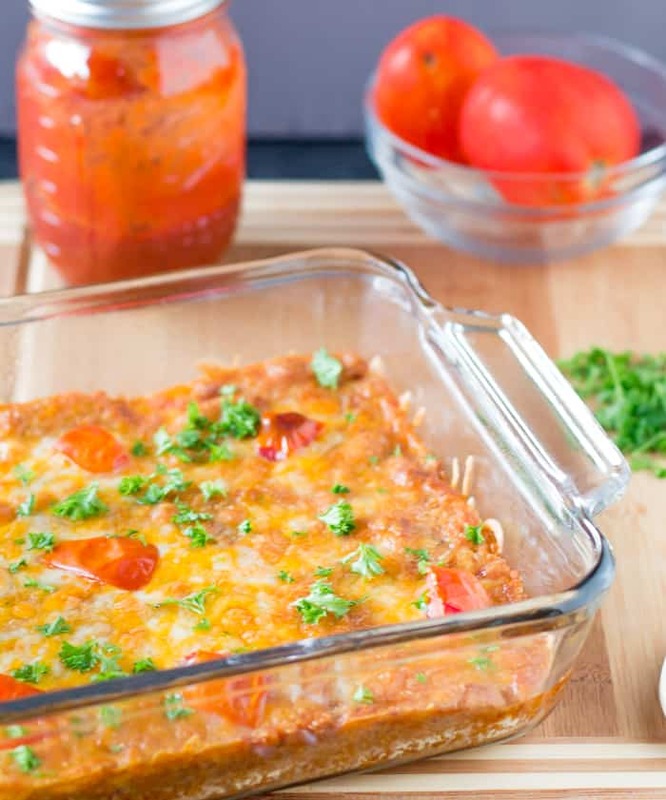 Sprinkle the rest of the cheese and tomatoes on top and bake for 15 minutes. Broil for 1 minute afterwards until cheese is bubbly. Remove from heat and allow to cook for 5 minutes. Top with shredded basil or parsley or other chopped herb. Enjoy! 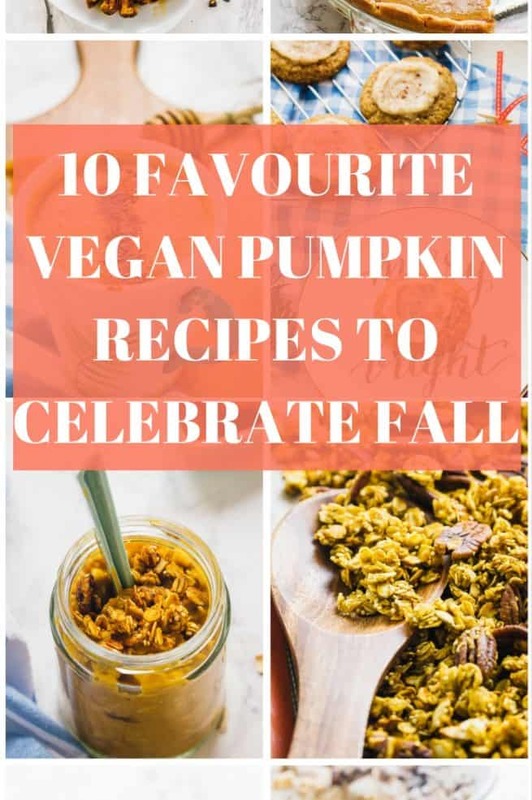 Quinoa is a true favorite of mine as well, and so is cheese of course! This must taste heavenly ahhhhhh your pictures are making me super hungry, and I’ve just had lunch ;–) What a delicious and simple dish – I love it! It looks simple and delicious! I am loving this recipe. I am in love with this recipe, Jess! 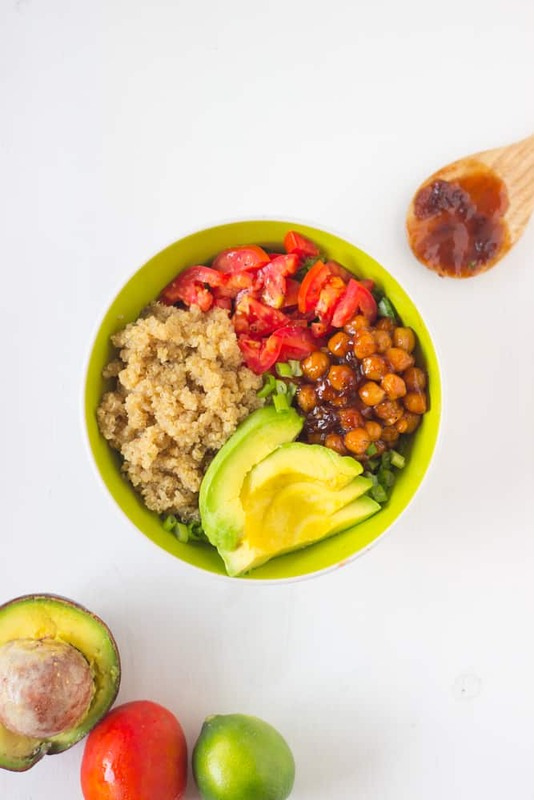 I use quinoa in everything and this dish looks amazing! Love that it’s just a few ingredients and easy to whip up. Pinned! Thanks Gayle and thanks for pinning! Oh yum!! This looks fantastic! I love how easy this is, I always have these ingredients on hand! Thanks Annie! You should really try it! I’ve been wanting to try a good quinoa casserole! This looks so cheesy and yummy! Thanks Kayley! This is a lovely one! Quinoa and cheese?? I am in love!! I had a quinoa salad yesterday and loved it but was looking for a new way to eat quinoa and now you answered me. Love all the good things in this casserole. Thanks Zainab! I hope you love it if you try it! I bet this casserole is beyond satisfying and I love that it’s vegetarian as well :)). It looks so good, Jessica. Can I come over for dinner at your house?? Thanks Kathi! And yes haha you’re welcome to come over! This sounds great Jessica! I have been wanting to try it as a casserole!! Thanks Lauren!! You should try it out! Last month I swore of quinoa. I’ve tried it about three times and couldn’t get it quite right. Now that I’ve seen this recipe, it’s worth trying again. Thanks Reginia! I hope you try this, you’d love it! 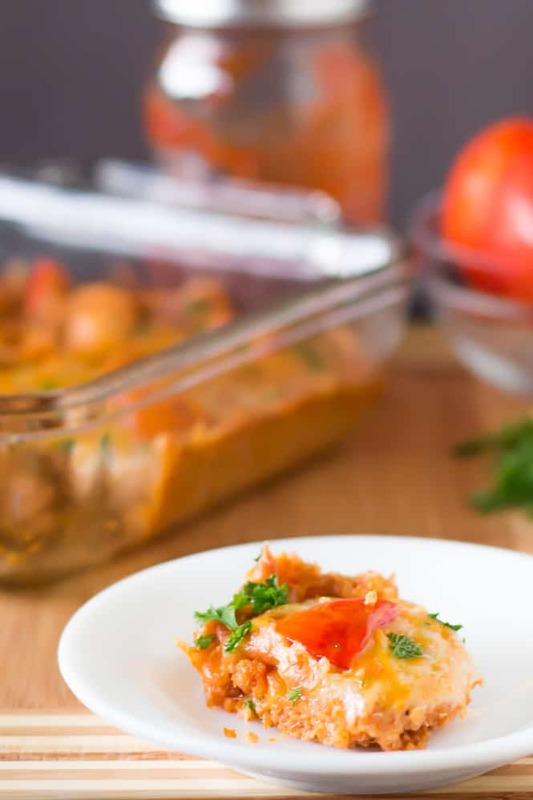 I love how simple you made this casserole seem with just a few ingredients! I am totally adding this to the dinner menu! I like the way you think lady! I’m posting a quinoa casserole on wednesday! Loving all that cheese. Cheese just makes everything better in my opinion : ) This looks awesome! Thanks Ashley! Awesome, will be looking out for that ! I was just telling my husband about the 5 ingredient trend. I love this cheesy quinoa. 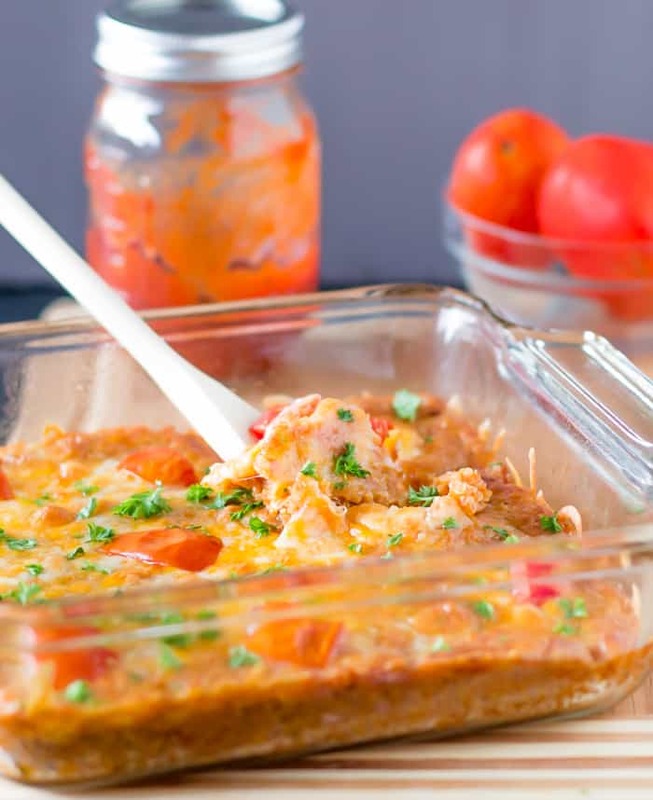 Cheesy quinoa casseroles are also a trend! You are so on top of your trends girl!! Thanks Sophia! The funny part is I never try to be on the trend! Jessica, I seriously love this. I’m trying to cut my pasta consumption and this a great way to still get those same flavors. Looks delicious! Thanks Kelly! I hope he loves it, and thanks for pinning! Great recipe, born to please Jessica and others! Thanks! YUM!! Love those quick weeknight meals. I’m pretty much always craving cheese, so you know this is going to happen soon! Thanks Alyssa! I am always craving cheese too!! I love this more than I can say–I’ve fallen in love with quinoa and the idea of it cheesy is mind-boggling. I haven’t cooked it much myself but it sounds like an awesome sub for pasta. Yummmmm! Thanks Ala! My BFF said it tastes exactly like lasagne ! 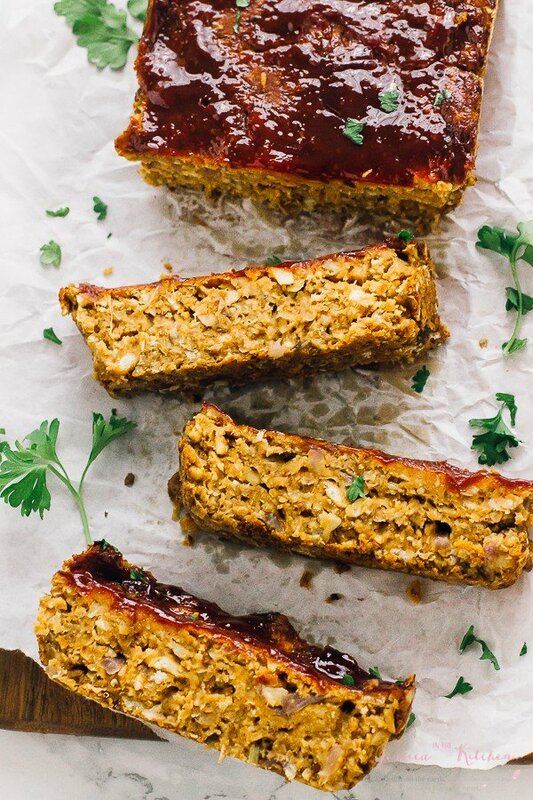 I adore your creative uses for quinoa. And I love a healthy and hearty dish like this. As a huge quinoa fan, I’d never, ever pass up this fantastic cheesy casserole! Wow! I am too a fan of quinoa! This casserole looks fantastic, Jessica. Oh my goodness this looks good! I LOVE all the cheese! What a great, easy to make weeknight dinner. Only 5 ingredients in 15 minutes?!! And it looks this good?! Win-win! I love quinoa casseroles! Love all the flavors going on here! Hi, I’m new to cooking so please bear with me. The recipe says to reserve half the diced tomatoes, but doesn’t say what to do with them. Did I miss it? No worries! I forgot to include it – you would sprinkle the rest on top before baking it. I hope that helps! What Italian Seasoning? I dont see that in the ingredient list. Let me know! Making this tonight! This recipe went wonky a while back and I think it got deleted from the ingredients list! I think it was 1 teaspoon of Italian seasoning. I hope you enjoy!! I omitted the seasoning and it was still super delicious! Looking forward to leftovers tonight! Thanks for sharing this recipe! I tried this tonight and was very good. Even my son’s girlfriend who does not like quinoa, liked it. Definitely making this recipe again! What do you do with the other half of the diced tomatoes? Hi Tim, sprinkle it on top! I’ll update the instructions!